On Wednesday 8th June at 21.00 BST teachers from around the world met on Twitter for #eltchat to discuss “Creative and effective ways of bringing literature into the EFL/ESL classroom”. I wasn’t able to join in, but I did get to write the summary [and add my own ideas]! If you want to read the whole conversation, click here. Sometimes students could read aloud, especially younger learners taking turns (@smaragdav) Most of mine enjoy doing that,they hear their own voices,know when they’re not stressing properly (@vickyloras) They could also read aloud in pairs (@fuertesun) You could pretend it’s for the radio / a podcast (@Marisa_C) It did wonders for @helen100463’s teens. Encourage students to read outside class. Use poetry and short story excerpts if longer sources are not available. 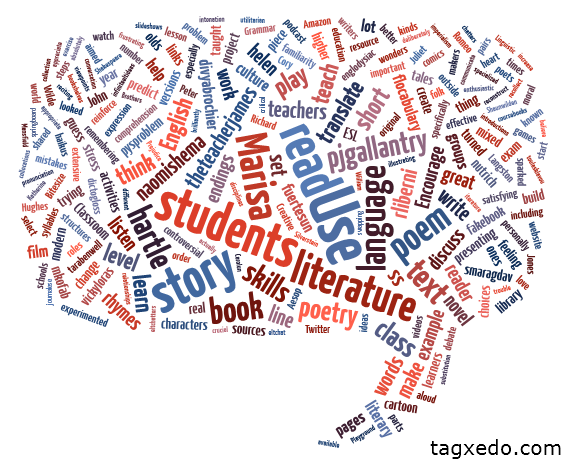 What level should extensive literature reading by introduced?